Millville, NJ – The Yamaha Champions Riding School proudly announces continued support of racer Anthony Mazziotto III in 2018. 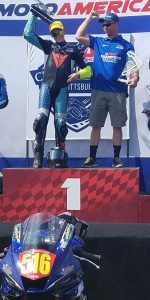 In 2017 YCRS and its sponsors teamed with our prized pupil Anthony “Mazz” Mazziotto to get this young phenom on the MotoAmerica grid. And it paid off: Despite very limited bike mods, Mazz grabbed five podiums and two wins in his 600 Superstock debut season. Thanks to the support of Yamaha, Markbilt Racebikes, Cambr Digital Banking Platform, Yamaha Generators, YamaLube, N2 Track Days, SBS Brake Pads, MotionPro Tools, Yamaha Genuine Parts, Woodcraft Technologies, Scott Powersports, and Dunlop Tires, the inaugural season for YCRS as a title sponsor for a team was a success. The only riders to beat Anthony in 2017 were veterans of the 600 class with high-budget bikes and teams. To say we were proud, and that Mazz is gifted, are both understatements. For 2018, the challenge is higher. With no more SuperStock class for up-and-coming racers to get their feet wet in a less-expensive class, the team will need to compete in SuperSport. SuperSport is where the big boys play so the challenge is high…but Markbilt is already hard at work building a competitive bike. Without budget for fancy electronics or winter testing the team will be climbing uphill, but the rewards are worth the challenge: Anthony has the potential to be one of the top racers in America. YCRS has instituted a weekend sponsor program that was originally for Yamaha dealers and is now open to all. 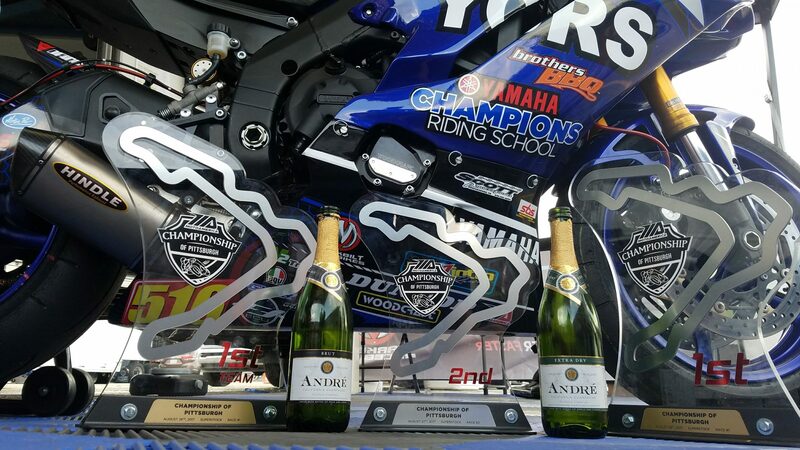 Each weekend sponsor gets a VIP Yamaha Champions Sportbike Demo with their local track day, a Yamaha Champions Riding School two-day ChampSchool, and a 10×10 space with the team inside the paddock to setup and promote themselves. 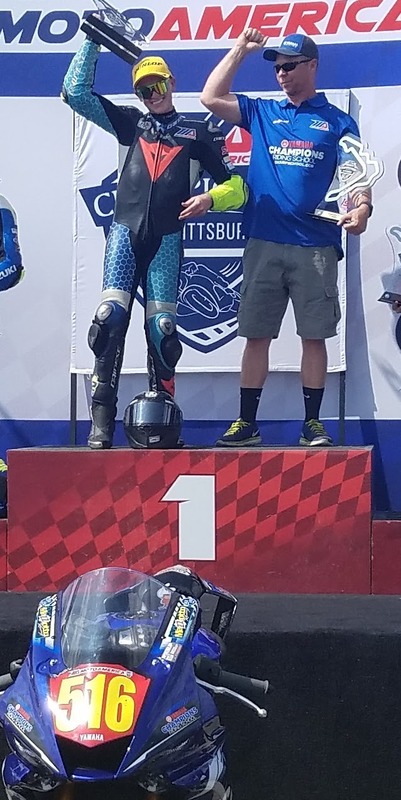 Starting with Freedom Powersports in Atlanta, dealers have stepped up to support the team in Virginia, Pittsburgh, New Jersey, and Laguna Seca. The team will open up this program to non-Yamaha dealers and still seeks support for the Sonoma, Road America, Barber, and Utah rounds. Interested parties can contact Keith Culver at 732-267-3699 or keith@champschol.com for details.